This is my 3 month old son Dallas. 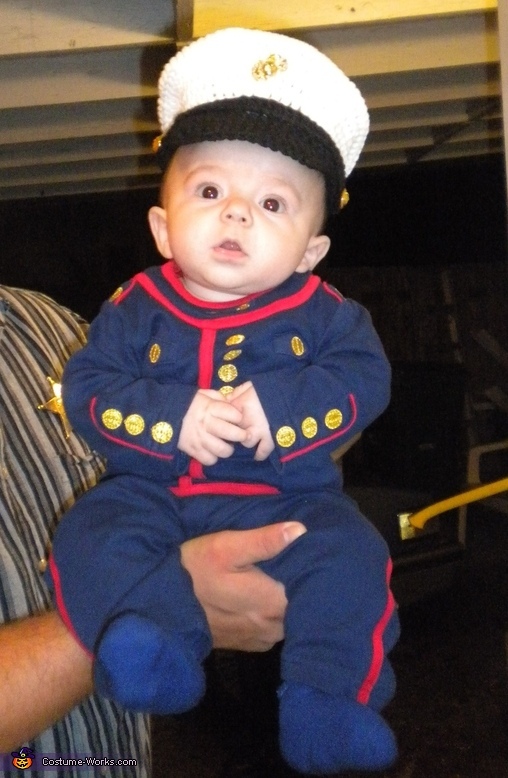 He is a cute little Marine this year.His Daddy is a Marine Veteran and we are hoping baby Dallas follows in his footsteps! This costume was purchased from 2 different places. The hat from Etsy $30, it is crocheted and the outfit was purchased from a military store $25. Oh my god! I was looking for this costume for my 2 week old son Dallas! His dad is graduating from the marines basic training.